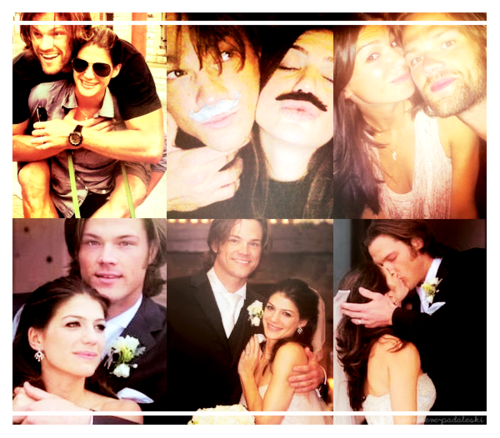 Jared&Gen. . Wallpaper and background images in the Jared Padalecki & Genevieve Cortese club tagged: jared genevieve padalecki. This Jared Padalecki & Genevieve Cortese fan art might contain 名誉の花嫁介添人, メイド, 花嫁介添人, メイドの名誉, and 名誉のメイド.